mwe3: Jim, can you tell us where youre from originally and where you live now and what you like best about it? What do you like best about living in Australia, where else do you like to visit and have you ever been to the USA? 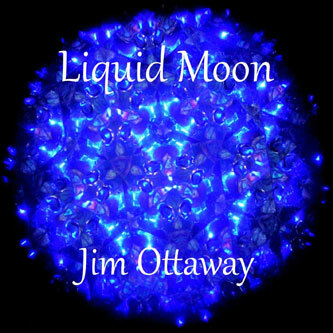 Jim Ottaway: I was born in Rockhampton, Queensland, Australia. Rocky, as it's fondly known, is a large country town near the coast in central Queensland. When I was still very young my family moved to Brisbane in the mid-1960s. I lived in Brisbane until the end of 1997 when I moved to the beautiful hinterland area of the Gold Coast in South Eastern Queensland. The Gold Coast has the most beautiful beaches in the world, great surf and wonderful rainforests in the hinterland. It is a wonderful place to live and to compose and record. Nature is all around me here on my small property. I am regularly visited by wallabies (small kangaroos), kookaburras (laughing birds), koalas and an enormous array of native bird life. Very inspirational! Australia is a very special place... beautiful landscapes, wonderful people and a respect for all races and freedom. I feel very blessed that I was born into an Australian family. I am not a great traveler but I have visited the USA, Canada, Japan, New Zealand and some of the islands of the South Pacific such as Fiji in the last 30 years. mwe3: You have said that music of the electronic masters like Tangerine Dream and Vangelis were big influences on you early on. Jim Ottaway: Most definitely. The most significant influences on my composing and recording are Tangerine Dream, Edgar Froese and Vangelis. I have been a huge fan of these artists since the mid-1970s. In a way I have restricted my knowledge of the electronic field of music because I had so much respect for these artists. The first I heard of Tangerine Dream was in 1974 when their Phaedra album became quite a good seller in Australia. An older friend of mine from school turned up at home one day with a new copy of Phaedra under his arm. We listened to that album over and over on that day until my father couldnt take it anymore. Thats where it all started for me. I must try and track the fellow down some day to thank him for introducing me to Tangerine Dream. The first I remember of Vangelis was his Heaven And Hell album. My sister Bernie used to perform modern dance to the music. Since those days in the mid-1970s my collection of records and CDs of these artists has continued to grow. They have been the soundtrack to my life! mwe3: How about other music that has influenced you over the years? Did you have other rock and pop musical influences when you were young too or did you go straight into electronic music and was classical and jazz an influence too? 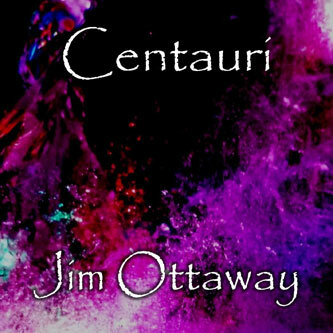 Jim Ottaway: I love music generally. I think a life without music would be a pretty horrible life! I love the music of the late 1960s and the 70s. These were the years I was buying 45s and a few albums when I could afford them! I have a huge love and respect for Australian music. Australian music has its own feel. Unfortunately most of the world has not heard a majority of the music of Australia other than say the Little River Band, INXS, Men at Work, Olivia Newton-John, Helen Reddy etc. Australia has wonderful artists who have greatly influenced my life. Other artists that I admire include Gary Wright, Steve Winwood, Joan Armatrading, Boston, The Babys, Enigma, Pink Floyd, Al Stewart, Lisa Gerrard and many more. 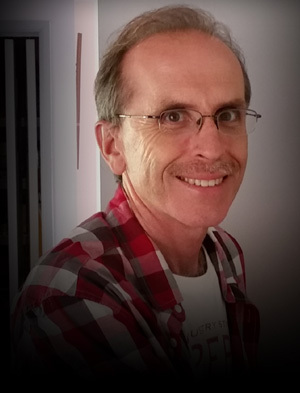 Local Australian electronic artists such as Tony OConnor, who sadly passed away a few years ago, Christopher Buckman and Ken Davis have also been significant influences on my approach to electronic music. J-im-azz and Cool as! They were a lot of fun to compose and record and there will be at least one more on a future release. mwe3: Youve released 23 albums since you started recording. How has your music evolved and have you kept all your albums in print on CD over the years? Tell us something about your early albums, such as your first album First Light, and how it compares with your recent works. How do you feel your sound evolved over the past 12 years? Power, Invisible Vortex and Southern Cross are CD releases. I now consider my Strings Attached album to be a personal release for family and friends only. Some tracks from that album will resurface in a different form on future releases. For those interested they can visit my website and access the Discography page at this link. All my albums are there and availability and purchasing options are pretty straightforward. my music has certainly evolved over the years. My first album First Light was purposely put together to be a new age / ambient album designed for meditation and relaxation. In a way it has probably been my most popular, if I can use that term, album to date, here in Australia. My first three releases stuck to the new age formula with the third Aurora, originally released in 2006 in Australia, having a more space ambient side to it. Aurora is the first of, what I call, my international albums. Aurora along with a number of my earlier albums were released onto the international market in 2015. Consequently, tracks from all my nine international albums are receiving airplay around the world. At the start of my recording career I always thought I would stick with the new age music, but as time progressed my music evolved into many genres. I now release electronic synth albums as well as space ambient albums. The electronic synth albums include electronica, dance, rock, electronic jazz and Berlin School genres to name a few. I love both genres so I will continue to follow my heart when putting albums together. My most recent album Southern Cross is a space ambient album and the album before that Invisible Vortex, from 2015, is an electronic synth album with some very powerful tracks filling the album. Naturally, over the years I feel my music has developed more complexity and the production of my albums has certainly improved. I am very proud of all my albums but I can certainly see, and hear, the changes, hopefully for the better, that have occurred. mwe3: Your 2015 CD, Invisible Vortex is a classic of the electronic music genre and its dedicated to both Edgar Froese and to Kevin Underwood. 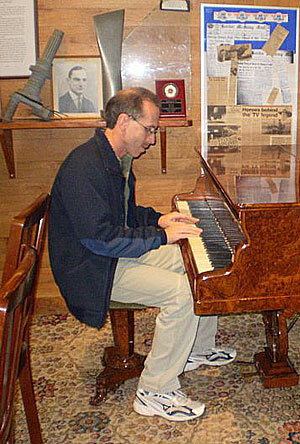 Tell us about how Edgar influenced your sound and something about Kevin Underwood. I saw the photo of you and Edgar, so tell us about meeting Edgar and which of his solo albums and albums with T. Dream are among your favorites and why. Invisible Vortex is certainly my tightest electronic synth album to date. I am very proud of the finished result. Invisible Vortex is dedicated to the memory Edgar Froese of Tangerine Dream and old mate of mine Kevin Underwood from Sydney. Kevin was one of my closest friends and probably my biggest fan, other than my beautiful mother. I would often visit Kevin in Sydney and he would visit me on the Gold Coast. Kevin was a collector of everything, but he particularly he loved collecting records and old gramophones. He even had an old working cylinder record player and many cylinder records. Kevin was the perfect gentlemen always thinking of others, in particular his family and friends. Kevin sadly lost his battle with cancer in December 2013 aged 81. There will always be a connection between my music and Kevin. Edgar had a huge influence on my musical life, as noted above. I was very lucky to see the final three concerts of Tangerine Dream with Edgar Froese, which took place in Melbourne, Australia in November 2014. The band performed a regular concert on a Sunday night and then later in the week performed two Sorcerer concerts on the one night. They were all excellent shows. I met the band after the first concert and was very blessed to meet up with them once again on St Kilda Beach, Melbourne between the shows. It was an absolute thrill to meet my electronic music idol and as you noted I am very pleased to have a photo record of the day I joined Tangerine Dream. A similar photo appeared in the supporting brochure that came out with the bands Supernormal CD. It is hard to say which of the Tangerine Dream and Edgar Froese albums are my favorites, but I must admit I loved their albums from the 1970s, 80s and 90s in particular. The combination of Edgar Froese, Christopher Franke and Johannes Schmoelling was probably my favorite incarnation of the band. If forced to give a response I would say that my favourite Tangerine Dream albums would include: Underwater Sunlight, Thief, White Eagle, Exit, Logos and Phaedra. Edgar Froeses solo albums were also wonderful excursions into the sonic landscape. His early albums and also the lost Green Desert album from Tangerine Dream probably influenced my Aurora album more than anything else. The dark cold sonic landscapes certainly shone through. mwe3: Invisible Vortex is very hyper-kinetic sounding with lots of synths and almost dance rhythms in places. That CD also features Rick Fenn who played with 10cc. Tell us about working with Rick Fenn and also how Invisible Vortex compares to some of your earlier albums. 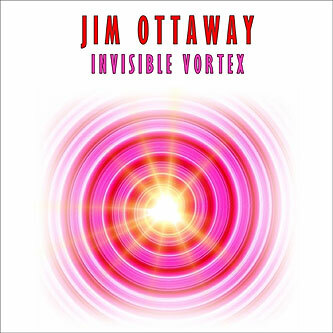 Jim Ottaway: As I mentioned before, Invisible Vortex is probably the tightest and most powerful and energetic album I have released. I think all the tracks are strong and fit together well on the album. Some of my earlier albums such as Chill Factor, Blitz and Power certainly had some dance oriented tracks without being full-on dance tracks. Invisible Vortex carries on where these albums left off but it also contains some rock type tracks such as Alien Cries and Takin the Time (2015) and also a Berlin school/sequenced style of track called Just Another Dream, which was inspired by the soundtracks of Tangerine Dream such as Sorcerer, Thief and Risky Business. Rick Fenn, guitarist with the legendary British band 10cc, is a guest guitarist on the track Takin the Time (2015). I know Rick from him performing in Byron Bay in northern New South Wales. Rick lives in Byron Bay but spends a lot of time in the UK and Europe performing with different incarnations of 10cc. Rick has worked with such great artists as Mike Oldfield, Rick Wakeman, Pink Floyd's Nick Mason and David Gilmour, Justin Hayward, Sniff 'n' the Tears and Cliff Richard. In Australia Rick performs with The Feramones. Interlude. He said he was happy to do so and provided me with three takes to consider. One of those takes appeared on Interlude, which ended up on my 2006 album Lightwaves. Lightwaves was my first move towards an album of more upbeat electronic music. I expect an updated version of Interlude will appear on a future album. After a year or so I revisited the takes Rick had done for me and I decided to work with one of them to create a whole new track. So Takin the Time was composed and produced around Ricks guitar solo. Earlier versions of Takin the Time can be found on my albums Firestorm (2008) and Groovin (2009). In early 2015 I decided that I wanted to rework the track and so it became part of the Invisible Vortex project and album. The title of track came about as I wanted to thank Rick for taking the time to help out an unknown independent artist. Thanks Rick! mwe3: On the other hand, your 2016 album, Southern Cross is a much more spatial electronic music album and it is dedicated to the memory of your mother Madge. Tell us about your mom and how the music reflects your memories of her and how does Southern Cross fit into your ambient space music series of album releases. the others being Aurora, Orion, Centauri and Liquid Moon, which has charted on the Zone Music Reporter Top 100 chart. As mentioned earlier I like to dabble in different genres of music and I felt it was time for another space ambient album. Southern Cross is the resulting album. 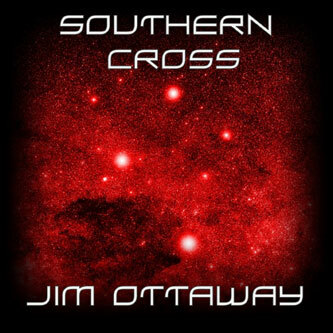 Southern Cross is a natural progression from the earlier releases but has a more lighter and melodic feel to it. I was trying to move on from the darker tone of Liquid Moon. Southern Cross is dedicated to the memory of my beautiful mother, Madge. Mum passed away in April 2015 aged 94. Naturally she was my biggest supporter and I owe everything to Mum and my Dad who passed away in 2001. Southern Cross is my first album release since her passing so it was important to me to highlight Mums importance in my life by the dedication on the album liner notes. mwe3: Southern Cross is named after the constellation Crux, which includes the Southern Cross, which as you say in the liner notes contains five stars that are 20 million years old. How influenced is your music by astrology and astronomy? One would like to think space music is created by artists and is all about the great unknown of the universe! the Southern Cross is the major star system in the southern hemisphere and is very important in Australian culture as the Southern Cross is a significant part of our national flag. The star system is always present in the Australian night skies. It is very beautiful. I cant say I have great knowledge of either astrology or astronomy however I have always loved looking into the night skies and thinking about being in space. Dabbling in the new age certainly opened the door for me to get into new age and relaxation music. However, when I record space ambient music I try and think of what it would be like traveling to and around the planets, stars, galaxies etc. I try and present in music form what I think it would be like. I think listeners would benefit from putting on one of the CDs, using a pair of headphones and closing their eyes and relaxing. I am sure the music will take them on an intergalactic journey through space and time, which they will enjoy. mwe3: Do you follow all the state of the art advances in electronic music technology or do you prefer vintage synths from the 60s and 70s? Were the same synths and keyboards used on both Invisible Vortex and Southern Cross albums or do you have different types of keyboards for different albums and your different musical concepts? 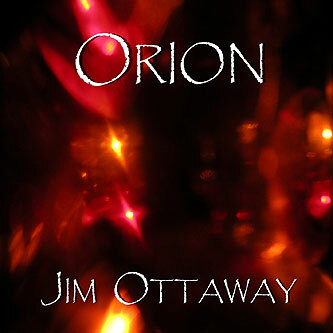 Jim Ottaway: As I got into recording quite late I do not own any real vintage gear. I have a few older keyboards but I do not use them much. My main keyboard is the Korg Karma. Strangely it is a more dance-oriented keyboard but it can make some incredible ambient pads. Most of my earlier albums were recorded mostly using the Karma. Over the years I have added a number of new and vintage VSTs to my arsenal. I am not one for keeping up with the Jones so I dont and cannot afford to buy all the new VSTs that are released. Every now and again I will splurge and buy a new one but that is not a common occurrence. I think you can have too many sounds to work with and that can cause confusion. Also there is generally a large learning curve with new synths which takes you away from the main goal of composing and recording. mwe3: What other activities and hobbies keep you busy in Australia and speaking of new music writing, recording, producing, video production, compilations and even performing, what other plans do you have for 2016 and into 2017? I was a Carer for an old friend of mine for many years. Although he has passed on now I still do a lot for my many older friends here on the Gold Coast and in Brisbane. It certainly takes up a bit of time, however it is very rewarding. I love collecting vinyl 45s and LPs and visit the local markets regularly to scoop up a bargain. I have a very large amount of material recorded that will be on future albums. I propose to release at least one more album during 2016 and possibly two. One will be electronic synth like Invisible Vortex and the other will be lighter more melodic synth album. Time will tell whether they both will be released this year. 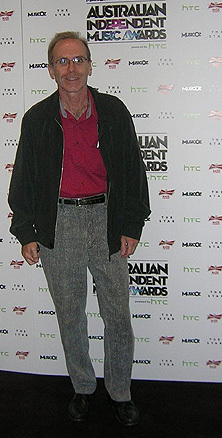 Each year for the last four or so years I have entered tracks in the Australian Songwriting Contest with some success. In 2015 I placed 5th for "The Long Haul" from Invisible Vortex and 7th with an un-released track, in the Instrumental category of the Australian Songwriting Awards and in 2014 I placed 4th with "Live The Dream" from Power. So I will be continuing that practice. when it happens, it happens. So keep your eyes out for future releases both space ambient and electronic synth. Finally, a major goal of mine is to get my music into film and television. I would also love to score a film one day!